My old robe was one with the other rags that surrounded me. It’s Mental Health Awareness Week in New Zealand. I would like to extend my gratitude to dressing gowns. To dressing gowns in the daytime. To grubby, off-white dressing gowns in the daytime. To grubby, off-white dressing gowns without cords so that they repeatedly fall open to reveal you standing in your underwear, in the kitchen in the daytime. Most clothes, when you put them on, demand things of you. That you put on socks and shoes. That you brush your hair. That you put on a belt to hold the clothes on. The dressing gown makes no demands. It’s at one with whatever you’re doing. If you are lying on your bed in a dressing gown in the daytime, the dressing gown unravels all of the things you have said about what you are doing instead of lying on the couch in a dressing gown in the daytime in a depressive state. It reveals the situation plainly and at the same time is soft and forgiving. It goes greyish or yellowish but it doesn’t demand to be washed because it doesn’t expect to be seen. It’s like your face when you’re unconscious. When you’re not wearing the dressing gown, it’s a limp fillet of cloth hanging discreetly over the wardrobe door or it’s bunched up in the bed, camouflaged in the sheets. When it’s not needed, it disappears. You are not ‘going to wear a dressing gown today’, you are just ‘not going to get dressed today’. The dressing gown fades, without judgement, into your circumstances. Don’t forget that the dressing gown can be a bustling practical garment as well as a garment of defeat. In her dressing gown my mother would pull oxalis from the garden, walk through a paddock carrying a bucket full of scraps, with hens bobbing after her, and pick her way down the driveway to the letterbox. She got things done in a dressing gown. The dressing gown went grey and yellowy, stray-cattish. I never saw it get washed. It clearly didn’t have the status of other clothing, but at the same time it was uber-clothing – it existed beyond earthly concerns like dirt. I also remember my dad wandering around under the grapefruit trees in a dressing gown, in gumboots. When he was younger he had a job as a surveyor and he never lost the look of a surveyor, even in his dressing gown, even if he was just watching a vacuum cleaner glide around a swimming pool floor, in his dressing gown. If you sometimes need to spend a lot of time in a dressing gown, don’t get one with bright patterns on it. Get a plain one. Once, when I was at a low point and spending a lot of time in my dressing gown, I realised that the pattern of red hot chillies looked like bloody open wounds. The word ‘hot’ that accompanied each chilli in fact looked like ‘rot’. I was covered in wounds and I was rotting. I had to throw out the dressing gown and get a plain one. The relief was immediate. You’ve probably heard it said that if you are blue, the best thing for it is to get up and get dressed as normal. It’s the same theory as forcing yourself to smile into a mirror when the last thing you feel like doing is smiling: it tricks you into feeling reasonably normal. Often this does help in a small way. It’s like positioning a kite to better catch the wind – the day is more likely to pick you up, to move you on. But the get-dressed-and-smile approach doesn’t take into account the simultaneous numbness and hypersensitivity that one can experience when very depressed. Getting dressed as normal can feel like a physical pain; it can even cause an anxiety that others will take your looking normal as a sign that you are OK, that you are functioning when you’re not – just as moving your face can feel impossible, can only serve to emphasise your sense of emotional immobility. A month or so ago, I was at work when I felt like all the shutters in my brain began to drop down, one by one. I couldn’t see out, no one could see in. An odd sort of panic set in. I was afraid because I couldn’t communicate how terrible everything was, and everybody else was oblivious. Luckily I was able to go home. Getting undressed – just getting the weight and prickle of ordinary clothes off me – and putting on a dressing gown felt good. I felt immense gratitude for the dressing gown. And I began to feel better the next day. So – to dressing gowns, and to the way they enfold us without judgement. This entry was posted in Uncategorized and tagged depression, dressing gown, mental health. Bookmark the permalink. Diderot’s new dressing-gown was pretty demanding – it insisted he redecorate his entire apartment. But yeah, old dressing-gowns – and it’s amazing how quickly they become old, and a little grubby, and shapeless, or shape themselves to you – are a comfort in this world. 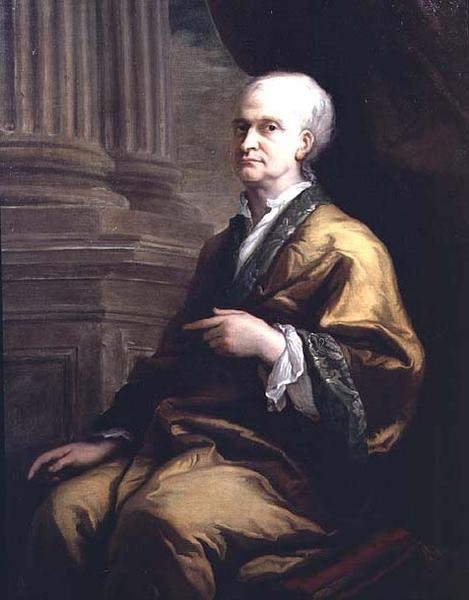 Oh yes – good point about Diderot’s dressing gown! That gown *was* uncharacteristically demanding. Clearly he had forgotten that crucial rule to never buy a fancy dressing gown, only a plain one. Oh sigh, what a comfortable piece of reading this was, making me smile progressively and long for my grub-wear. I wrote most of my PhD in a now discarded blue dressing gown and nearly every word of my current book has been written either whilst wearing my new dressing gown or smoking jacket. I cook in my dressing gown, collect mail whilst wearing it and hang out the washing with it on. They also function well as a form of cat hair protection: the first thing I do when I arrive at my Mum’s is to put on a dressing gown and then look for her two cats. With a gown on I can pick them up and play with them and the white hair they constantly shed can stay in Takapuna. I must get a new old dressing-gown. And even though it seems against the rules and renders the safety of its comforting cloak, for a fresh brain spring clean, I like to treat mine to a wash. The pulling on of the old faithful, now brighter, fluffier and smelling of lawn and sun, is an instant perk up.